I will be holding another ‘stitch in’ at the Shop Front Theatre, Coventry on April 28 as part of the The Women’s Quilt exhibition which I am curating. Please do drop me a line if you wish to book a place. 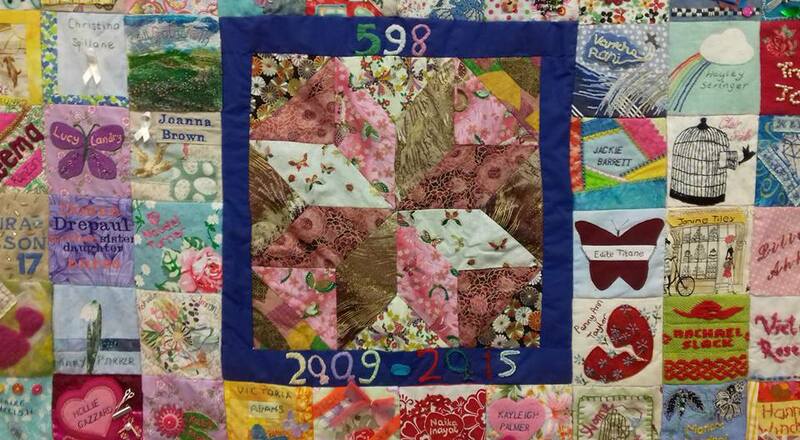 The Women’s Quilt was made to commemorate the 598 women killed by their current/former partner between 2009 and 2015. This quilt was founded by Roxanne Ellis and the Quilt has opened up many personal and important conversations which are now happening between the Quilters and its audiences. I am organising the exhibition with Jess Pinson & Flo Swann – who have been tremendous supporters of my work.